January | 2011 | Another Beautiful Day in Paradise! With the “Stillers” in the Super Bowl, I am being deluged with emails full of Pittsburgh nostalgia and trivia. 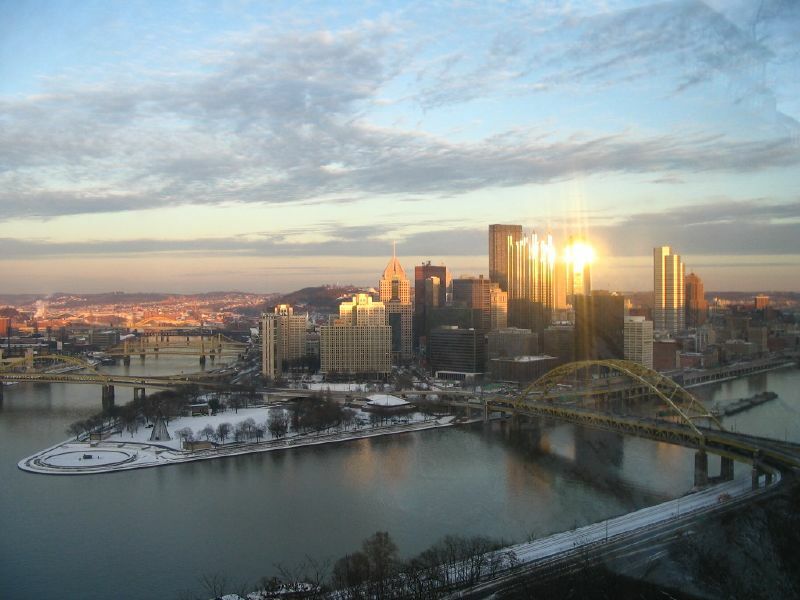 While I claim Pittsburgh as my home town, and cheer for the Steelers, I actually only lived there full-time for four years, and that ended 40 years ago. My parents were deep-rooted Pittsburghers. (I’d call them “yinzers”, except my father would never forgive me and my mother would come back from the grave and haunt me.) 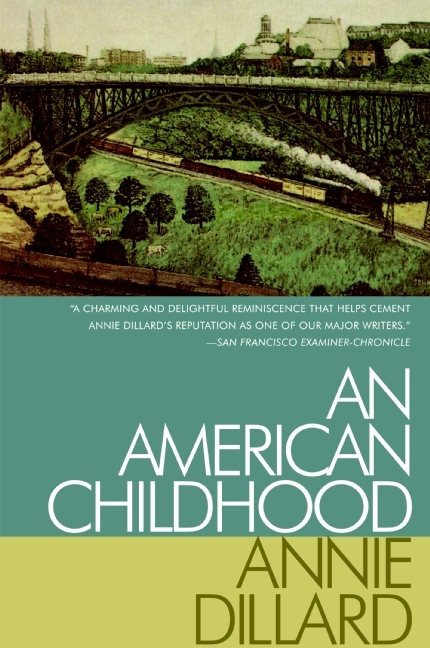 However, my life from earliest memory until high school was spent in Wheeling, W.Va. — about an hour’s drive down the road. We moved to the South Hills the summer before my 10th grade. I left Pittsburgh for the University of Florida after my freshman year in college and never moved back except for two college-summers and visits. A beautiful photo of "The Point" by Jennifer Yang. All the same, I can still relate to many of these “You know you are from Pittsburgh if…” statements that my sister sent me. 1. You didn’t have a spring break in high school. 2. You walk carefully when it is “slippy” outside. 9. I ask you to hand me one of those “Gum-Bands” an’ you actually know what I’m talking about. 10. You know you can’t drive too fast on the back roads, because of the deer. 11. You know Beaver Valley, Turtle Crick, Mars, Slippery Rock, Greentree and New Castle are names of towns. And you’ve been to most, if not all, of them. 14. You know the three rivers by name and under stand that “The Point” isn’t just on a writing instrument. 15. Someone refers to “The Mon” or “The Yough” and you know exactly what they’re talking about. 16. You remember the blizzard of 1993 (or 1976, or 1950, or 1939, or…) and remember not being able to go outside because the snow was over your head and you would have suffocated. 17. Someone starts the chant, “Here we go Still-ers!” and you join in — in the proper cadence, waving the appropriately colored towel. 21. You know what a “still mill” is. 22. You expect temps in the winter to be record-breaking cold and temps in the summer to be record-breaking hot. 23. You know what Eat ‘N Park is and frequently ate breakfast there at 2:00 AM after the bar closed and made fun of people. 24. You order “dippy eggs” in a restaurant and get exactly what you wanted. 25. You spent your summers, or a school picnic at Luna Park, Kennywood, Westview, Sand Castle or Idlewild. 26. You’ve been to the Braun’s Bread Plant or Story Book Forest for a school field trip. We went to the Heinz plant and the Isaly’s plant for Cub Scouts. 28. You refuse to buy any condiments besides Heinz unless a Pittsburgh athlete’s picture is on the side of the container. 30. Franco, Roberto, and Mario don’t need last names and you can recite their exploits by heart. 31. Food at a wedding reception consists of rigatoni, stuffed cabbage, sauerkraut and polska kielbasa. I’ll bet that tingled a little! The sports world is providing all kinds of interesting videos this week. I watched an outstanding Florida-Georgia basketball game on ESPN last night. It went to double overtime, with lots of amazing shots. But the shot everyone will remember happened when Florida forward Chandler Parsons drained a three from the corner, right in front of the Gator bench, and fellow Gator Vernon Macklin popped him in the “jewels” with a towel. I’ll bet Chandler and Vernon had a little chat about that in the locker room later. 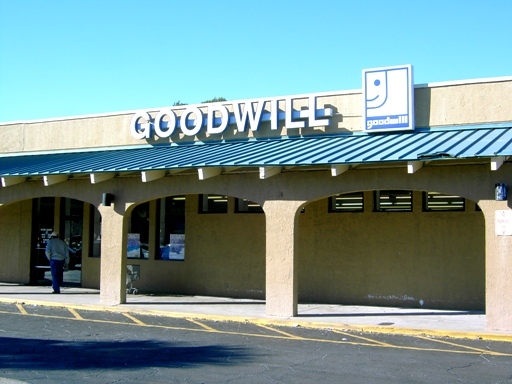 We love our Goodwill store! The store opened in a strip-mall in our part of town several years ago. I don’t think we had visited it at all until a good friend and neighbor called Mrs. Poolman to say that she had been in the store and saw an entire set of our everyday stoneware dishes. Mrs. P ran right up to the store, but they were already gone. When Mrs. P mentioned to our friend that she wasn’t quite fast enough, the friend said, “Well, that was a week ago that I saw them.” Oops! Now, hardly a week goes by that one of us doesn’t stop in for a quick survey. (Yes, we always check out the dishes first.) Over the last year or two, we have picked up some outstanding bargains at rock-bottom prices. I had been looking for a desk chair for my home office. I found one identical to the one I have at work for $10. Poolboy moved into a new apartment and didn’t have any lamps. I found two brass lamps for $3 each. They cost another dollar for the shade, and about $1.50 to replace the switch in one of them. For the past several months, Mrs. P and I have been going back and forth over what to do about a freezer for our garage. We had inherited an old stand-up freezer from her parents that was so old, no one can remember when it was originally bought. It finally bit the dust a few months ago. 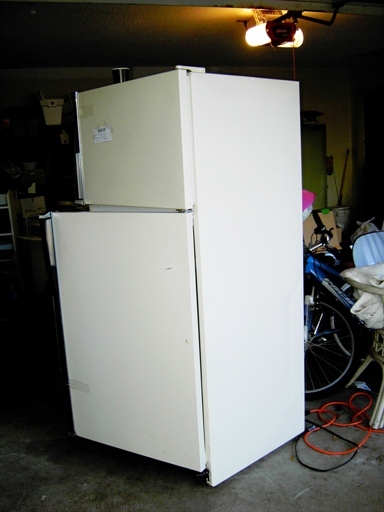 We didn’t really want to spend a ton of money on a new full size freezer or even a combo refrigerator-freezer. I suggested a small chest-freezer which we could pick up at Sam’s Club for under $200. Mrs. P vetoed that for a number of reasons. So we have been at a stalemate. A week or so ago, we dropped into Goodwill for our weekly survey, and, lo and behold, there was a refrigerator-freezer in the back of the store. It had no price tag or sold-sign. The manager said we could have it and quoted a price under $50. The next day, I borrowed my friend Robin and his pick-up truck and carried the refrigerator to its new home. I plugged it in; placed a cup of water in both the refrigerator and freezer compartments; and held my breath. Two hours later both were frozen solid. Clearly, we need to adjust the thermostat, but the important thing is that it works! I hope it is happy in its new home, because I know we’ll be happy with it. We had a pretty quiet weekend. 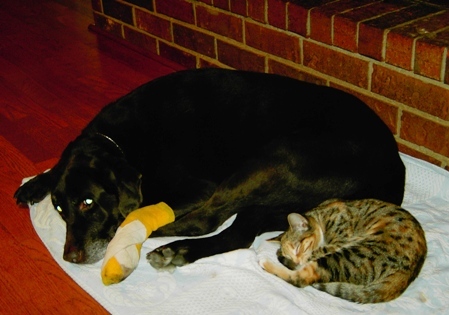 Two of our pets, Casey the Lab and Penny the Fearless, underwent surgery on Friday. Casey had a growth removed from his right-front paw, and Penny was spayed and declawed (front only.) 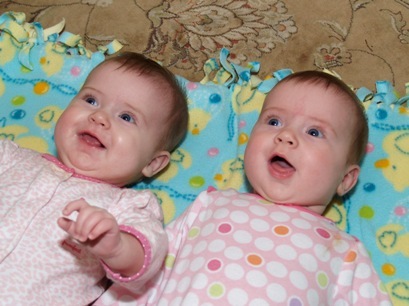 Casey came home shortly after the surgery on Friday, but Penny was held overnight, so we picked her up on Saturday. Both did very well. With the help of pain medication, the two of them spent most of Saturday curled up together on a pallet in front of the fireplace. And people still ask us if our dogs and cats get along. Ya think? I had originally planned to be in Atlanta for three days this week for the governor’s inauguration, the opening of the legislature and a Board of Regents meeting. Five to eight inches of snow sure changed those plans. It’s just as well. Now I have three open days I hadn’t planned on to get some things done. We are cold and rainy here, but, fortunately, no signs of snowfall. Just as well — an inch of snow in coastal Georgia would shut the region down until spring. The college football season ends tonight. Then we face a seven and a half month drought until the next kickoff. We’ll have the NFL to hang on to for a few more weeks. We’ll be rooting for the Auburn against the “fighting ducklings” in the BCS championship game tonight. As much as I have trouble believing that Auburn’s QB Cam Newton is really as naïve and innocent as his family tries to make out, we’ll pull for the SEC standard bearer – for better or worse. Let’s make it five SEC national champs in a row! It’s probably for the best. I’m really not that good at any of those jobs, but I am “OK” at all of them. Yesterday, I had a new role laid into my lap – baby sitter. On the first day back from our holiday break, I was approached by one of our scientists. She was hosting a married-couple pair of visiting scientists, both of whom were going to present one-hour seminars to our science team that day. One was in the morning and the other in the afternoon. 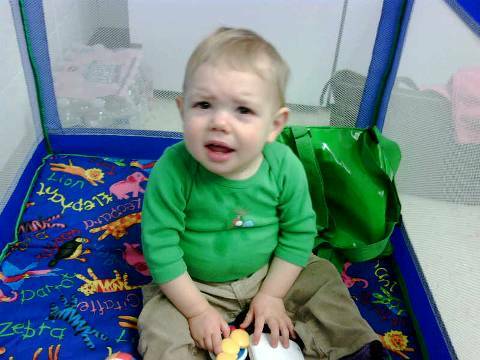 The problem was that they also had an 11-month old baby who needed a “sitter” while the parents were occupied. She had approached our administrative assistant, who has no children and is not very comfortable with them. Lila told her to go find me. That’s how I met Clara. As you can tell from her expression, Clara was not overjoyed at spending an hour or so in a strange place with a guy she never met before, but she got over it. She was a little cranky during the morning session, but it never got out of hand. When her mom brought her back for the afternoon session, she was sound asleep. She stayed that way until her parents came back to get her – thus proving once again Poolman’s First Law of Childrearing. The downside is that I’ve had people in and out of my office all day today asking about my hourly rates for baby sitting. Very funny. No thanks. I have enough to do. In case you are interested, here is a year-end report on this blog by the folks at WordPress. In 2010, there were 119 new posts, growing the total archive of this blog to 219 posts. There were 140 pictures uploaded, taking up a total of 25mb. That’s about 3 pictures per week. The busiest day of the year was May 26th with 625 views. The most popular post that day was Let’s order lunch!. The top referring sites in 2010 were search.aol.com, en.wordpress.com, google.com, images.google.com, and shallotsweb.com. Some visitors came searching, mostly for cat, pizza, cat pictures, burka, and terrence cody.